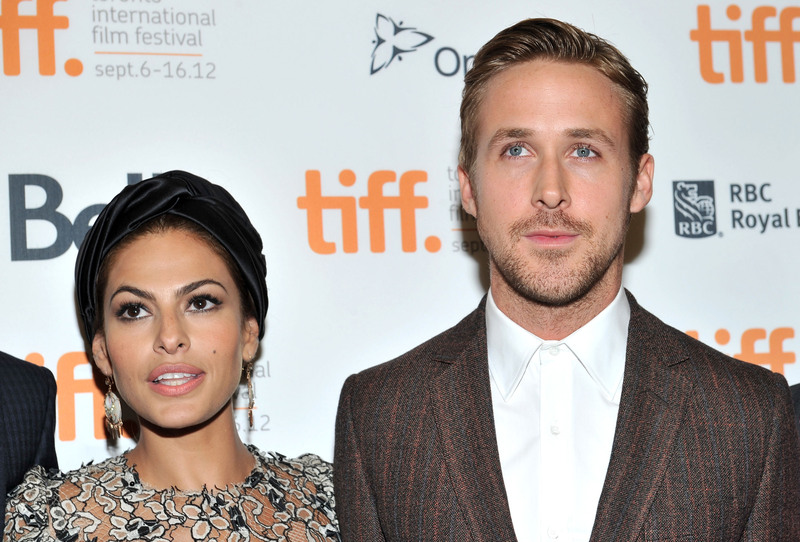 The news of her pregnancy may have shocked the nation — nay, world only two months ago, but according to Us Weekly, Eva Mendes has welcomed a baby girl with boyfriend Ryan Gosling. Hooray! Congrats to the happy couple and let Gosling Is Having A Baby Twitter Meltdown Part 2 commence! Us reports that Mendes gave birth on Sept. 12. Yep, it happened all the way back on last Friday and you're just finding out about it now. Oh, they are so sneaky with their wanting to keep their personal lives private! The couple has not yet confirmed the news themselves, and it's possible they never will. They never even confirmed the pregnancy news, sources just did it for them. Sorry, North West. I know you rarely show your face on Keeping Up with the Kardashians, but I'm pretty sure Baby Mendes Gosling #1 (hey, until she has a publicly released name, that's what I'm calling her) is the most elusive celeb baby in the world. For now, congrats to the two new parents! Unless this baby news is really all a rumor gone wild, that is. In that case, how long exactly is this going to go on?! Until "the baby" is college aged?